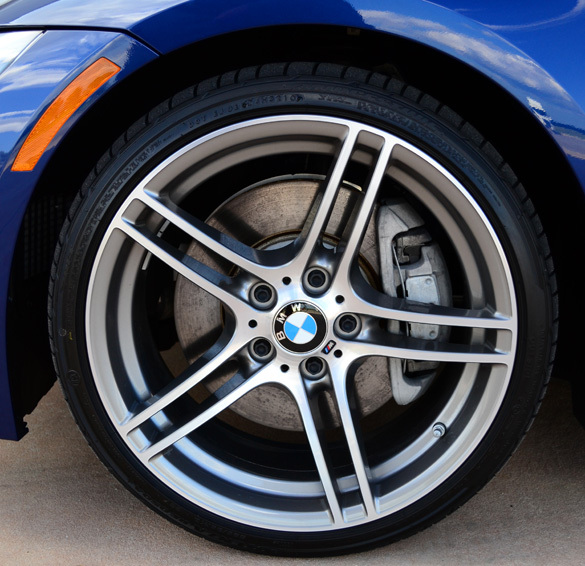 BMW’s “is” nomenclature was reserved for the brand’s higher performance vehicles slotted between the regular lineup and the prided “M” high-power vehicles. BMW plans on losing the “is” in place of an M Performance Line. It seems that the “M” naming is getting to be a bit confusing and may eventually tarnish what is perceived to be a true M vehicle versus one with a few M-Motorsport factory options. After-all, BMW is no longer shy about slapping a M badge on just about anything these days. The M Performance Line, as reported by Car and Driver, does not follow the purist approach of the true M cars. Hopefully, with the coming change to label slightly-tuned variants of specific BMW series vehicles, it will not confuse everyone into thinking that their M Performance Line vehicle is somehow the same as the true M vehicles, such as the current 1 Series M Coupe, M3, M5 and M6. 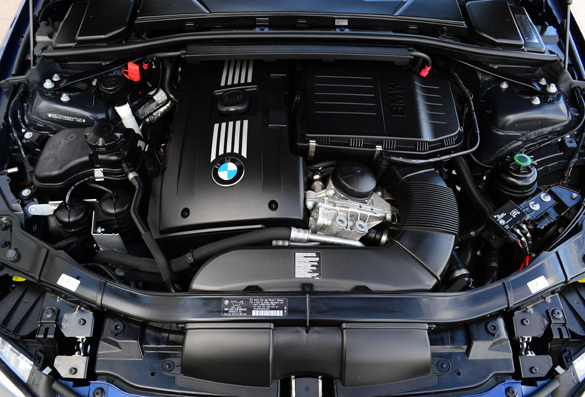 Engines for the M Performance Line are typically used in other BMW models (non M vehicles), too. The Z4 M35i and M335i (or M435i) will be launched next year potentially carrying the M Performance Line classification. Moreover, BMW’s true M vehicles will continue to get “special treatment” in the performance and aesthetics department -not available on future M Performance Line models. The change is expected to happen with next generation vehicles in early 2015. Christian Gebhardt, Sport Auto’s test drive editor, had a chance to get behind the wheel of an Alpina B3 GT3 based on the BMW 3-Series E92 335i and Alpina B3 S Bi-Turbo build. Honestly, I never knew there was such a thing as an Alpina B3 S Bi-Turbo, let alone the exclusive Alpina B3 GT3. I have always admired the quant aftermarket build of Alpina BMW vehicles especially the long-running 7 series offered here in America. To my surprise, Alpina has taken the already-fast BMW 3 series 3.0-liter Bi-turbo to a new level all the way to 402 horsepower and 398 ft-lbs. of torque. Alpina used the same twin-turbo 3.0-liter inline-6 in their B3 S Bi-Turbo and tweaked it a bit with the addition of an Akrapovic titanium exhaust system. Of course the B3 GT3 is only available in Germany with 99 total units made. 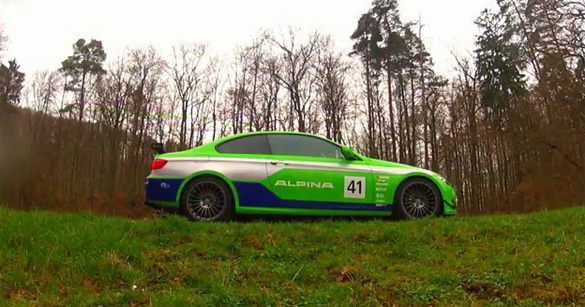 The particular hard-core Alpina B3 GT3 driven by Gebhardt, is featured in the video below hitting a top speed of 192 mph. The Alpina B3 GT3 is also good for reaching 60 mph in 4.6 seconds. Check it out! The all-new 2011 BMW 335is, having performance attributes surpassing the 3 Series lineup, continues a tradition of the 3 series being a benchmark for its segment outside of the BMW M-Motorsport vehicles. The new 335is blends added sport styling in addition to better handing and more horsepower to the already excellent 3 Series equation. 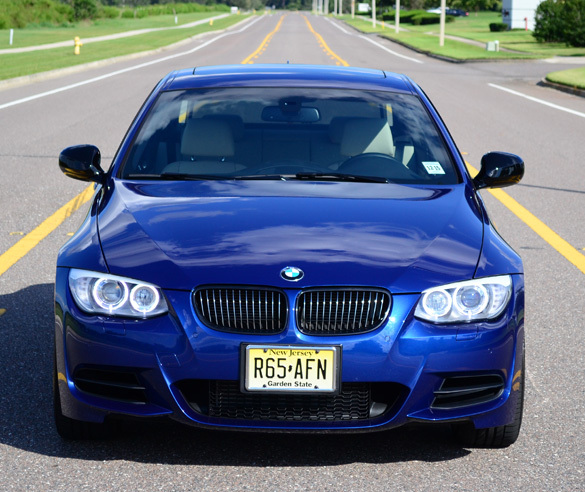 The 2011 BMW 335is, exclusively available for the North American market, essentially fills a gap between the 414 horsepower BMW M3 and the 300 horsepower 335i. The new 335is packs a serious punch in the form of 320 horsepower. Having driven both the new BMW M3 and 335i, it comes to me as a shocker that there was such a gap that needed to be filled. Either way, BMW has pulled out their arsenal of Motorsport additions to turn the 335i Coupe into a better alternative to the current M3. 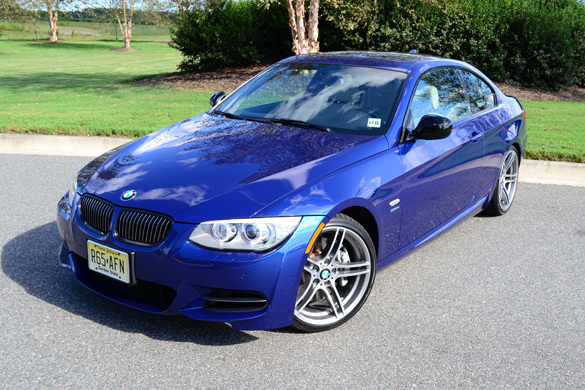 My new 2011 BMW 335is test vehicle looks amazing with a Le Mans Blue Metallic paint job and sporty 19-inch split 5-spoke alloy wheels. BMW managed to keep styling of the 335is virtually the same as other 3 Series coupes continuing the E90 and E92 body cues introduced in 2007. Interestingly enough, the normal 335i gets a new N55 inline 6-cylinder engine with a singe dual-scroll turbocharger in place of a previous twin-turbo setup. However, for the 335is BMW decided to keep the N54 twin-turbo engine only reworking it to produce an extra 20 horsepower. From a tuners perspective, obtaining the extra ponies is an easy feat due to the massive potential of BMW’s potent N54 twin-turbocharged inline 6-cylinder powermill. The new BMW 335is truly appeals more to the enthusiast crowd especially by including many M-Motorsport options as standard equipment such as the M-Sport steering wheel, door kick plates, stylish 19-inch alloy wheels, rear diffuser, sideskirts, and restyled front/rear bumper fascias. 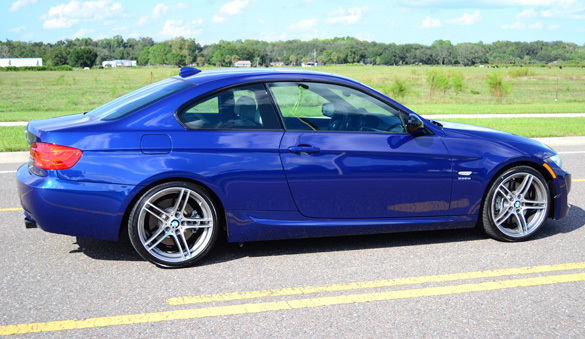 The sport suspension setup on the 335is comes just as any 335i coupe would. The twin-turbo inline 6-cylinder producing 320 horsepower at 5,900 rpm and 332 ft-lbs. of torque at an extremely low 1,500 rpm makes for quick sports coupe. Throwing in my test vehicle’s optional 7-speed dual-clutch transmission makes things even snappier. BMW took an approach to not only tune the 335is to breath a little better for more power, but they beefed up the cooling system as well to maintain durability from the added boost pressure. In terms of historically being a benchmark setter, the new BMW 335is is able to reach 60 mph in 4.8 seconds. If you are keeping 0-60mph records, then you will realize that is just a few tenths of second behind the M3. Unleashing the new 335is at full throttle brings a smile to my face every time. The 7-speed DCT transmission banging through the gears with an excessive amount of backpressure loaded though the turbos wastegate is a pleasured audible event. No wonder the 335is is only available in North America; it may simply be too loud for the European markets. I just love that throaty sound! A competent 6-speed manual transmission comes as standard equipment on the new 335is. The optional DCT –double-clutch unit, same as found on the new M3, shifts at blazing speeds making it an easy task to reach 60mph from a standstill in under 5 seconds. After many generations of automated manual gearboxes, BMW has got things right by mixing stunning performance in an easy to operate package. The 7-speed has an excellent control unit that makes it act much like an automatic transmission when starting and stopping the vehicle. Slipping of the clutch is almost seamless but on occasion you feel the system trying to figure out your next move. The 7-speed transmission can be shifted manually through steering wheel mounted paddle shifters or using the floor shifter. Additionally, the full-automatic mode is the default gear selection. Power comes on early and is readily available at virtually any rpm range – even in 7th gear. An overboost feature works silently in the background giving the 335is extra power around 4500 rpm up to 7 seconds. Though, power never reaches above 320 horsepower. Handling characteristics of the 335is are true to BMW starting with its well-balanced 50/50 weight distribution. The Dynamic-Traction control and stability control system (DSC) works beautifully stepping in delicately when its needed to put things back in line. Holding down the DSC button for about 7 seconds allows the 335is to turn into a wild beast under the mercy of the driver’s inputs. With stability control and traction control fully disabled, it is not difficult to light up the rear wheels even when accelerating from a rolling start. The surge of power from the spooling turbos is robust but smooth. 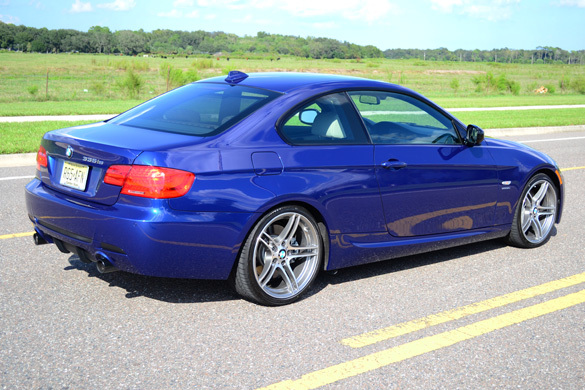 Whenever I get the opportunity to drive a new BMW, I always draw a comparison to my own E46 BMW M3. I can honestly say many of my ‘issues’ about my own car’s interior have been addressed over the years especially in the new 335is. 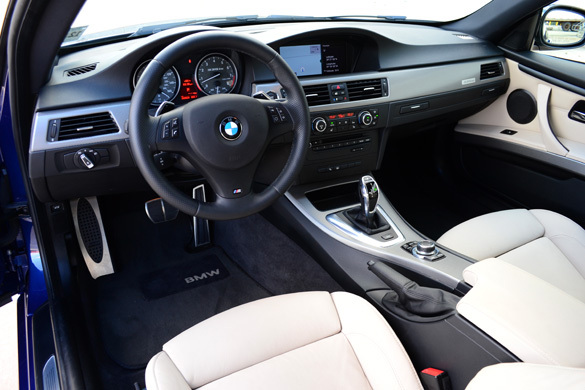 The 335is interior is very inviting and subtly plush. Being that I am over 6-feet tall, the front seats provide plenty of space with room to spare. 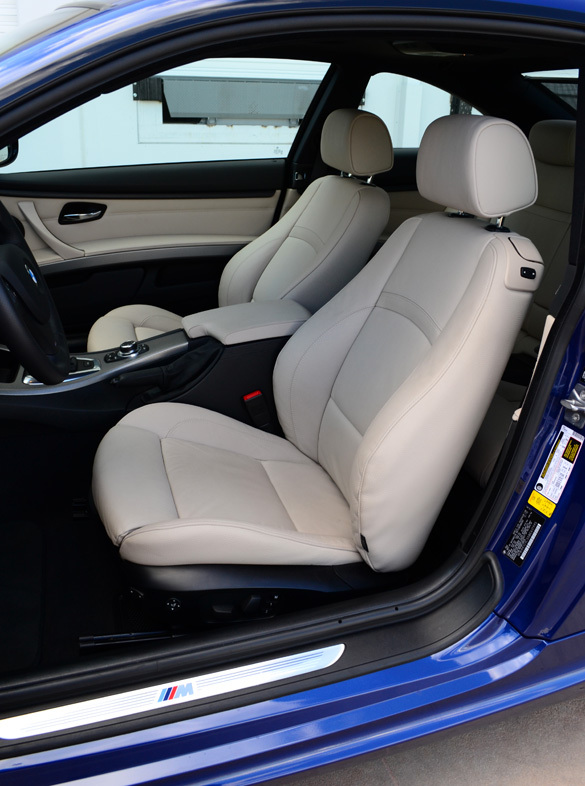 The front seats allow a lot of adjustability making it easy for those well-over 6 feet tall to find a comfortable seating position up front. Unfortunately this cannot be said about the rear seating areas of the 3 Series coupe. Although, I can ‘temporarily’ fit in the rear seats of the new 335is provided no normal sized human is in the seat in front of me. BMW not only builds a driving machine that keeps the driver tuned to the road, but they successfully keep all other occupants entertained with excellent seating appointments. One feature to prove that point is the motorized seatbelt assist for front occupants. This is a convent feature that basically hands you the seatbelt so you are not required to reach an extra foot or two for your seatbelt. Of course the true enthusiast won’t mind taking the extra time to reach back behind him/her just to buckle their seatbelt. 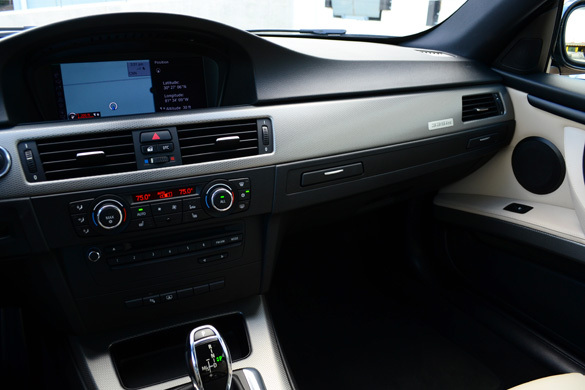 The not-so friendly passenger-side pop-out cup holders may have been an afterthought ever since the introduction of the current 3 series in 2007. 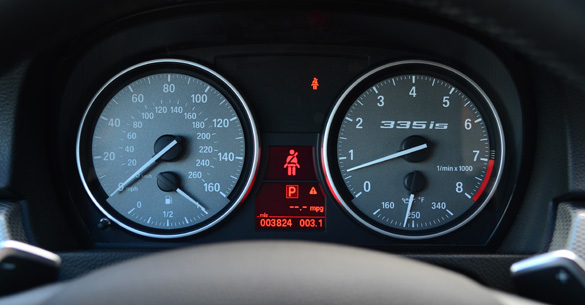 To set the 335is’ interior apart from other BMW 3 Series variants, the dashboard cluster gets special treatment with ‘335is’ logoed gauges and dashboard trim. 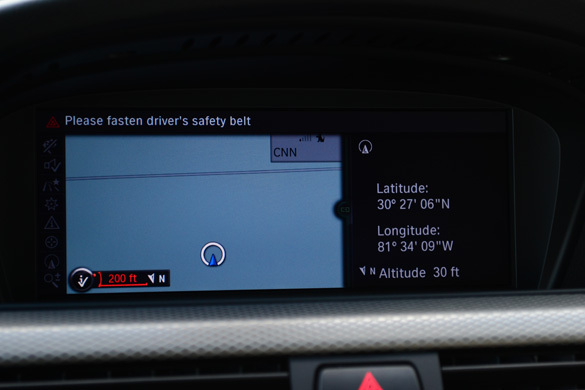 The center stack’s high-resolution LCD wide-screen welcomes the use of the 4th generation of BMW’s iDrive system. Gadget geeks will love the new 3D navigation maps and smooth operation of iDrive which still takes some getting used too. I can honestly say that the iDrive system proved to be user-friendly after I spent 25 miles-worth of driving and 20 minutes of sitting in stopped traffic with it. The Dakota leather seating surfaces are inviting as well as the Harmon Kardon stereo system with Bluetooth streaming and iPod/USB connectivity. For once, BMW has a decent audio system in the 3 Series that audiophiles can live with. 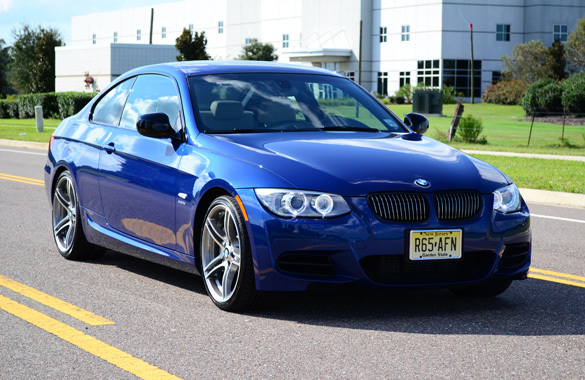 The new 2011 BMW 335is can be considered to be a track-focused sports coupe. Obviously the M3 is the ultimate choice for track junkies but there is a track-competitive nature about the new 335is. Considering that there are enthusiasts out there that do not want to opt for BMW’s highest-class 3 Series vehicle, the 335is may be their definitive compromise. Pricing for the 2011 335is, $50,150, starts much lower than the M3. Mind you my test vehicle was loaded up with several options bringing the total to $61,650, which is about $1000 more than the starting price of a new M3. 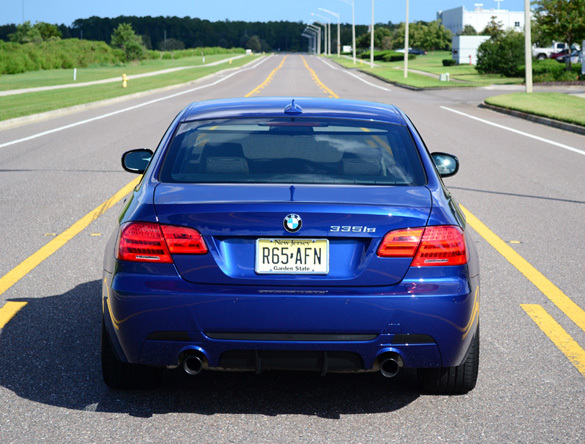 This proves that the 335is is a viable option for those who want extra amenities, a little more performance than a normal 335i, and a few sporty ‘M-Motorsport’ styling characteristics that set it apart from the customary 3 series crowd.